Norwalk voters can register on Election Day at City Hall, Community Room, 125 East Ave.
Secretary of the State Denise Merrill reminded eligible but unregistered voters that they can register and vote on Election Day, at the Election Day Registration location in their town. A full list of The Election Day Registration locations can be found at myvote.ct.gov/EDR. 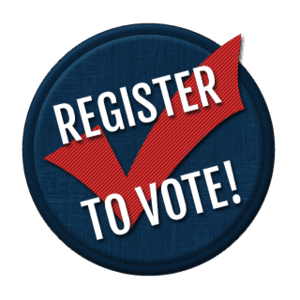 Please note that Election Day Registration voters must be registered to vote by 8:00pm in order to vote (not in line to register by 8:00pm), so voters should go to the Election Day Registration location in their towns as early as possible. Any voter who has not registered by 8:00pm will not be able to vote. More information on Election Day Registration can be found at myvote.ct.gov/EDRInfo. In order to register on Election Day, a potential voter must provide their birth certificate, driver's license, passport, or Social Security card, or in the case of college and university students a current photo identification issued by their higher education institution. If the potential voter’s identification does not also include proof of their residential address, he or she must also submit another form of identification showing their residential address in the municipality. The additional identification may include, but is not limited to, a motor vehicle learner's permit, a utility bill due no later than 30 days after the election, for a college or university student a current college or university registration or fee statement, a lease, a library card with residential address, a paycheck, a property tax bill, naturalization documents, or other satisfactory proof of residence. Eligibility requirements can be found here.